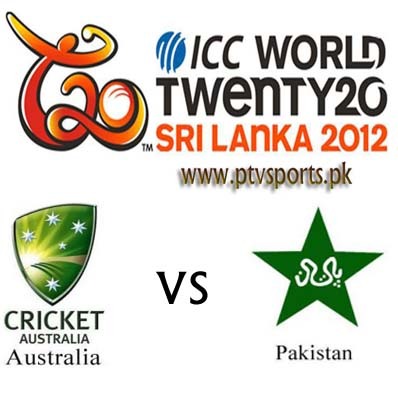 Pakistan is going to play its third and last match for super eight round T20 world cup 2012 against Australia on 02 October 2012, Tuesday at 03:00PM.We will provide here all match updation with live score here at this page during match timings. Pakistan is at do or die situation in this event, they have already one won against South Africa and another one loosed against India.Now in his third match they will be face to face with Australia who is leading group two and qualified for semi final.For last couple of matches against South Africa and India, Pakistan’s bating line has totally flopped.All in form batsmen go back to pevillion without having most runs. Now they need to fire against Australia to get their position stable in this event other wise they have possibility to knock out from this competition. In last five T20 matches Pakistan have won 4 matches out of 5 against Australia but Australia last win in UAE was fa-bolus and make them confident for next matches. Their opening pair comprised on Warner and Watson are so much in form and hit hard in every game which makes a foundation for win to Australia. Statistically Pakistan as won 4 matches out of 5, they would also be confident against Australia, now they have a very good chance to win this match if they get through top four batsmen early. Big edge of Pakistan over Australia is spin bowling attach which makes Australians irritate, especially Ajmal and young Raza both are wicket taking bowlers who much upset-ed Australia in last series in UAE. Pakistani performance in this tournament is not bad, they performed very nicely in every match except one against India. Their start in this competition was very good.Muhammad Hafeez captaincy is praiseworthy, he has won series against Australia and now provide good start in T20 event, usually in Pakistan , things take u-turn very fast.After loosing one match against India critics alleging Hafeez that he is not a captain and cannot handle pressure in a match. These praises and critics go side by side in Pakistan and any thing can happen utterly.